May 15th was National Dinosaur Day. It’s been said that the reason dinosaurs went extinct is because they didn’t read. But they sure make for memorable literary protagonists. So to celebrate Dinosaur Day, let’s look at nine memorable titles about our prehistoric pals. Note: I will leave out Jurassic Park because it was probably the 1st title that popped into your head when you hear the word “dinosaur literature” and both the book and the films it inspired have been done to death (though I’d still like to wish it a happy 25th anniversary). 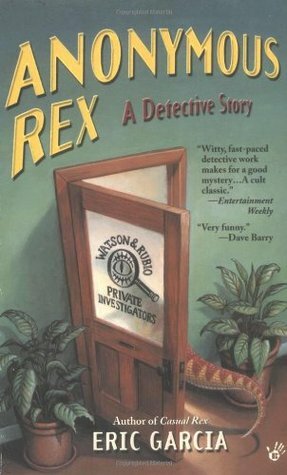 You know him best as the creator of Sherlock Holmes but Doyle also wrote this novel that popularized the concept of a “hidden world” where dinosaurs, prehistoric creatures and even early humans survived extinction and lived undetected from modern civilization for millennia. 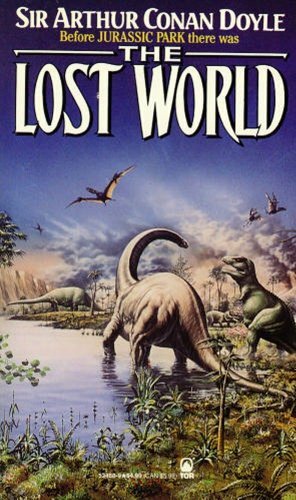 Following in the footsteps of Doyle, Burroughs also wrote about an undiscovered world where dinosaurs were alive and well, but set the story against the backdrop of World War 1 and U boat warfare. I have never listened to anyone who criticized my taste in space travel, sideshows and gorillas. When this occurs I pack up my dinosaurs and leave the room. 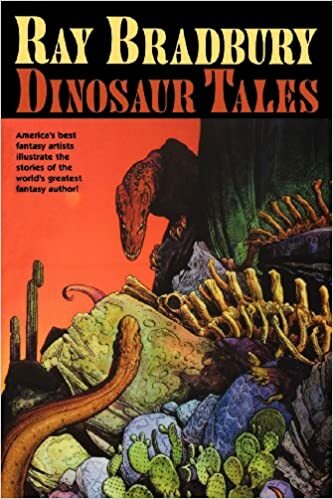 Five stories, one poem and illustrations by Steranko, Moebius and William Stout, make up this unique collection of every dino story penned by the master himself. These include “The Fog Horn”, “A Sound of Thunder” and “Besides a Dinosaur, Whatta Ya Wanna Be When You Grow Up?” Despite being published by Barnes and Noble Books, I found this hidden treasure at Half Price Books. 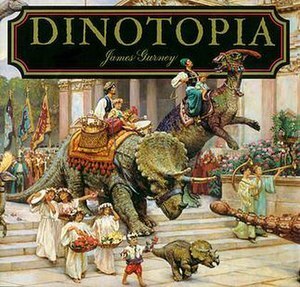 When I was in elementary school, Dinotopia mania was at its peak, thanks to all the merchandise many of my male classmates were taking with them to school (like folders and backpacks). Why I didn’t beg my mother for some Dinotopia swag is beyond me. Maybe because I hadn’t read the book. In fact I didn’t read the series until I was in college(!) and I fell madly in love with James Gurney’s lush, Pre-Raphaelite influenced artwork. I even used one of the procession scenes as a wallpaper for my office computer when I worked as a school attendance clerk and received a lot of complements from passing co-workers. Part travelogue and part adventure story, Dinotopia tells the story of scientist Arthur Denison as he and his son wash upon a mysterious island where dinosaurs and humans live in peaceful interdependence. 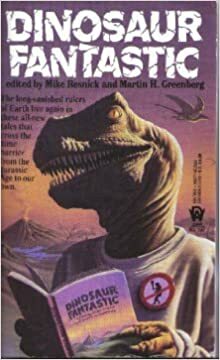 From Goodreads: Mike Resnick and Martin H. Greenberg have called upon such gifted writers as Robert Sheckley, Pat Cadigan, Frank M. Robinson, Judith Tarr, Mercedes Lackey, Larry Dixon, Bill Fawcett, Katherine Kerr, David Gerrold, and Kristine Kathryn Rusch to create these twenty-five stories of the most terrifying and fascinating creatures to ever inhabit the Earth: the dinosaurs. From their native Jurassic landscape to your own backyard, from their ancient mastery of the planet to modern-day curiosities trapped in an age not their own, from the earth-shaking tyrannosaur to the sky-soaring pterodactyl, here are unforgettable tales-some poignant, some humorous, some offering answers to the greatest puzzle of prehistory. But all are certain to capture the hearts and imaginations of dinosaur lovers of all ages. I can’t tell you what stories are in the anthology but I hope to read it someday. Dinosaurs disguised as (human) detectives to determine whodunnit. 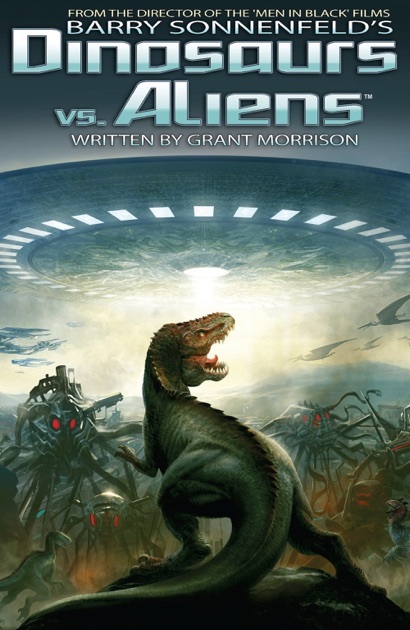 A notable entry in the “hard boiled sci-fi” subgenre. While TV Tropes gives more info on the comic/franchise. Another title I look forward to reading someday. One day I googled “Ricardo Delgado” and I got some muscled guy in a thong. Oops. With all of that bodybuilding and posing, I don’t think he has the time to draw dino comics. So if you ever run into him don’t ask him to sign your copy of Age of Reptiles, a series published by Dark Horse about the everyday struggles of various dinosaurs throughout the – you guessed it – Age of Reptiles. There’s been four titles published so far: Tribal Warfare, The Hunt, The Journey and Ancient Egyptians. The most notable aspect of the series is that there’s no words or sounds. The stories rely on the pictures alone. Oh and this is the Ricardo Delgardo who created the series. Did you know that during the Mesozoic Era an alien invasion was thwarted by intelligent dinosaurs? YOU DIDN’T KNOW THAT?!?! IF DINOSAURS HADN’T INTERVENED WE WOULDN’T BE HERE!!! THIS IS WHY DINOSAURS DESERVE OUR RESPECT!!!! That’s why to this very day we honor dinosaurs with…Dinosaur Day!